UnitedHealth Group kicked off the second-quarter earnings season on Tuesday, reporting higher revenue and profit as its insurance arm grew Medicare Advantage and Medicaid membership. The Minnetonka, Minn.-based company's Optum business recorded higher revenue as well, as its pharmacy benefit manager filled more prescriptions during the quarter and provider segment OptumHealth served millions more customers. "We are encouraged by how our businesses are advancing in service to customers, consumers, physicians and across the healthcare system at large—encouraged, but far from satisfied," UnitedHealth CEO David Wichmann said during a conference call with investment analysts on Tuesday. "Continuous innovation and improvement in healthcare experience are critical to fulfilling our mission: helping people live healthier lives and helping make the health system work better for everyone." With revenue and profit going strong, UnitedHealth is focused on improving consumer engagement through technology to save costs for employers. Officials touted Optum's Rally Health digital wellness platform, which encourages workers in employer-sponsored health plans to meet health goals; in the second quarter it reached $1 billion in rewards paid to the 2.5 million customers enrolled in the program, UnitedHealth said. Most of those rewards have gone to consumers' health reimbursement arrangement and health savings accounts or have been used to reduce their premiums. "By moving to digital coaching from legacy telephonic models, Rally triples the number of individuals engaging in our program, while creating much higher consumer engagement intensity and loyalty," Optum CEO Andrew Witty said. "As a result our customers are avoiding millions of dollars in damaging medical costs." Wichmann said the company would "aggressively" expand the number of physicians using its PreCheck MyScript digital tool over the next 18 months. That tool allows physicians to see patients' formulary information and prior authorization requirements as they are prescribing a medication. This year, the tool is integrated into the electronic medical record of physicians who treat as many as 5 million patients. Officials also mentioned UnitedHealth's recent investment in Bind, a Minnesota health insurance startup that works with self-funded employers to keep medical costs low by allowing workers to pick and choose only the health benefits they want in their health plan. UnitedHealth posted net income of $3 billion in the second quarter, an increase of 28.1% year over year. Its revenue across all segments totaled $56.1 billion, up 12.1%. UnitedHealthcare—UnitedHealth Group's insurance arm and biggest segment—recorded revenue of $45.8 billion in the quarter, up 12.4% over the same period last year, as the company picked up more membership and increased its member premiums to cover expected medical costs, it said. Additionally, the return of the tax on health insurers, which was put on ice in 2017 amid opposition from insurance companies, led to higher revenue as insurers hiked 2018 premiums to cover the tax. UnitedHealthcare served 48.8 million customers in the second quarter, an increase of 4.8% year over year. The insurer's Medicare Advantage membership grew the most, totaling 4.8 million people, up 10.4%. Revenue from the company's Medicare and retirement segment, which includes Medicare Advantage and Medicare supplement plans, was $18.9 billion, an increase of 12.6%. Medicaid membership grew to 6.7 million people, up 5.2%, while revenue from that segment grew 17.1% to $10.7 billion. Meanwhile, UnitedHealthcare's employer and individual commercial membership decreased 2.2% to 26.8 million. Still, its revenue from that business line increased 5.7% to $13.7 billion. 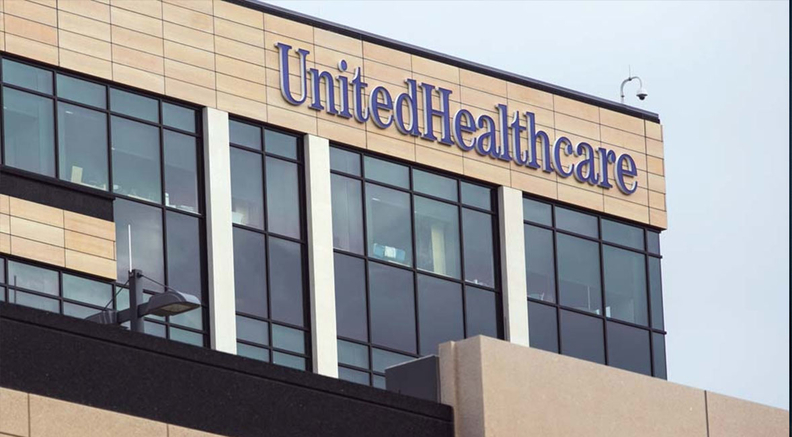 In the commercial business, UnitedHealthcare served fewer employers and individuals. The company largely exited the individual Affordable Care Act marketplaces because of financial losses and instability in the market. But UnitedHealthcare is reportedly coming back to the Massachusetts exchange in 2019. Wichmann said UnitedHealthcare's return to the Massachusetts exchange is "not a voluntary decision," but because of a state law that requires insurers with more than 5,000 individual or small group members to offer plans on the exchange. While UnitedHealth Group's insurance arm is its biggest segment, the company's other unit, Optum, has been its fastest-growing. Optum recorded revenue of $24.7 billion, an increase of 9.1%. The health services subsidiary's three segments all posted revenue gains, but its OptumRx pharmacy benefit manager raked in the highest revenue at $16.9 billion, up 7% year over year. OptumHealth, which offers services to medical providers, grew revenue by 16% to $5.9 billion in the quarter and served 92 million people, up by 7% over the past year. OptumInsight, the company's data and analytics business, grew revenue by 9.6% to $2.2 billion. As other insurers seek to transform into integrated healthcare companies through huge merger deals—Cigna Corp.'s bid for PBM Express Scripts, and CVS' proposed tie-up with Aetna, for instance—UnitedHealth has long been the one to beat, largely because of the success of its Optum business. UnitedHealth reported a consolidated medical loss ratio of 81.9%, which was an improvement year over year, but higher than analysts' expectations. The company's share price was down about 2.6% to $250 as of 5 p.m. ET as a result.